Global eyewear company ClearVision is using Formlabs Tough Resin to prototype hinged glasses for infants and toddlers. With a Formlabs stereolithography (SLA) 3D printer, ClearVision is able to test their hinge technology with smooth, workable prototypes. The addition of desktop 3D printing to their workflow has significantly reduced sample development time, allowing product designers to quickly and efficiently make modifications based on the feedback of pediatric eyecare professionals. The entire collection of Dilli Dalli frames, prototyped on the Form 1+. Project Engineer Pia Taveras adds that it would take between 4 to 6 weeks to receive a sample from the vendors. Now with SLA 3D printing, ClearVision is able to make the necessary changes and print a new prototype in-house. This process takes hours as opposed to weeks, and they are able to send the updated prototype out the next day. Prototypes of the flexible Soft Touch frames, printed in Tough Resin. Each Dilli Dalli frame is carefully designed to fit the growing features of a child’s face. The frames have a built-in nose pad that is widely flared to ensure a secure and comfortable nasal fitting. This feature prevents the frame from being too close to the face and fogging up when worn. Additionally, each IntelliFlex Soft Touch frame features hinge technology; the hinges move up and down and side to side to “self-adjust” to the child’s movements, without any removable or external parts. The final product in color “teal” on the ClearVision website. ClearVision was drawn to Formlabs Tough Resin because of its similarities in “look and feel” to their proprietary Soft Touch material. The 3D printed frames allowed the team to better demonstrate the frame’s flexible design, as well as the functionality of the hinge, nose pads, and bridge. The tough prototype also closely resembled the final product with its smooth surface and teal color. 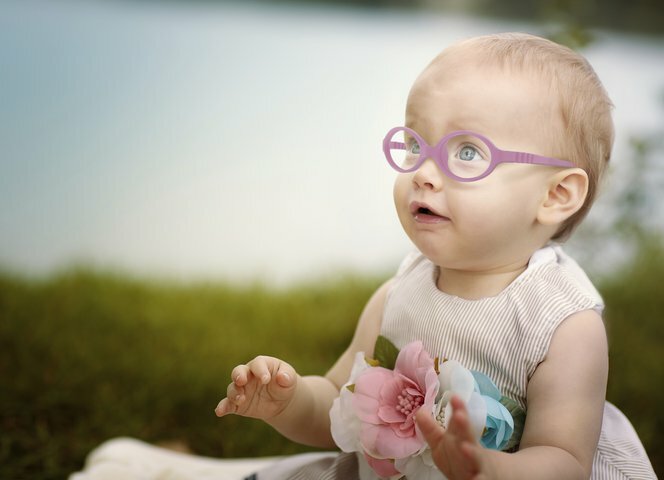 To learn more about these incredible infant glasses, check out Dilli Dalli’s website.